Knowing how to write a blog post that will be seen by Google is complicated. And Google changing their algorithm periodically doesn’t help. Luckily, we’ve made it easy for you. 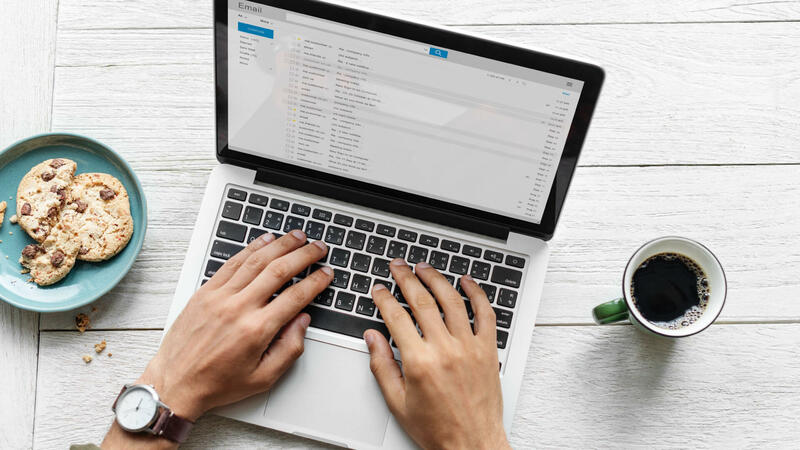 If you are wondering how to write a blog that not only sounds great but ranks well on Google then you’ve come to the right place. 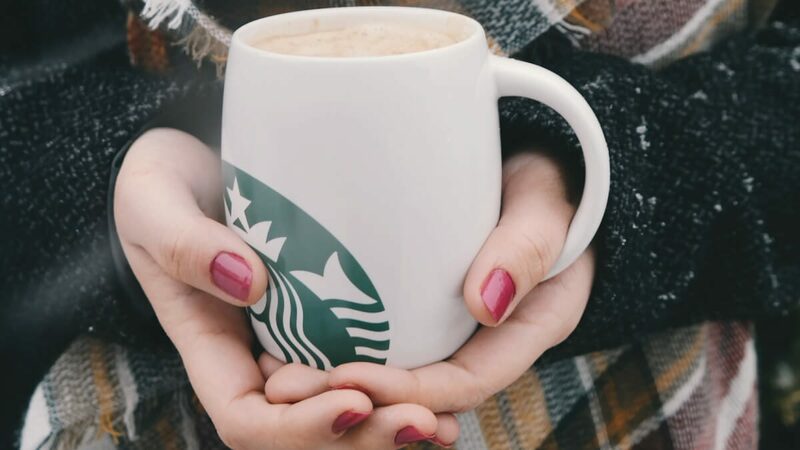 In this exercise, we will be using a blog titled: “Best Starbucks Drinks For Every Season.” For this scenario assume that you are a blog writer for the Starbucks website. It’s about to be a new year and Starbucks is planning to launch a new drink for every season. They want to promote these new drinks as well as some fan favorites. In some cases, you will need to do your own keyword and LSI keyword research to create the subject of your blog. But in this case, your boss has done the research and supplied you with everything you need to write the blog including the following. This title is chosen based off of keyword research. It is a topic that is searched frequently but has low competition with other websites. This is the kind of topic you want to write about because it will give you a better chance of getting ranked on the first search page. Again, this keyphrase was chosen based off of research. Longer tailed keyphrases generally rank better simply because they are more specific so there is less competition. Notice that the key phrase is both in the title as well as near the beginning of the title. LSI keywords help Google know what your blog is about. For instance, if you are writing about “cars” you could be talking about the movie or the vehicle. LSI keywords help Google know which topic you are referring to. Vehicular cars will have LSI keywords like automotive, new cars, old cars, etc. You can find these by Googling your keyphrase and seeing what words are commonly used by other sites that have written about the same topic. Here are the top LSI keywords for our example subject. Knowing how to write a blog post begins with research. Google the blog title and read the first five relevant articles that come up organically through Google search. Your blog should be a summary of these top 5. The goal is to be as topically relevant as possible. Create the structure of the article you are about to write. Use the template below. [Opening Paragraph] – Summary of the article, should be 2-3 sentences. [Conclusion Title] Are you ready to buy Starbucks coffee yet? [Closing Paragraph] Summarize what you talked about. 2-3 sentences. Include a call to action in your last sentence. Write your blog following the template you created. Part of knowing how to write a blog is being able to critique yourself. Once you have finished turning your template into an article, proofread your blog. This ensures that your blog follows all the guidelines necessary for good SEO, and good grammar. Use the questions below to check your work. Did you use your keyword/phrase in the opening paragraph? Is your paragraph over 150 words? If so rewrite. Paragraphs should never go over 150 words unless they are separated by headers. Did your opening paragraph state the problem? In our scenario, the problem would be that people don’t know the best seasonal drinks Starbucks has to offer. Did your opening paragraph state a solution to the problem? Did your opening paragraph contain supporting keywords (LSI keywords)? Did you use the template you created to structure the architecture of your blog? Did you use your keyword/phrase in a [Subtitle]? What about every 100 words? Did you use your keyphrase every 100 words? Are any of your paragraphs over 150 words? If so rewrite. Paragraphs should never go over 150 words unless they are separated by headers. Does your paragraph support and elaborate on your subtitle or your sub-subtitle? Are your supporting keywords/phrases (LSI keywords/phrases) ORGANICALLY used throughout the body? Does your conclusion summarize the information you just spoke on? Does it restate the solution or answer to the problem your blog is addressing? Did you use your keyword/phrase in your closing paragraph? Is there a direct call to action at the end of this blog? If applicable, does it call the reader back to the services your company offers? This is a great way to convert readers into paying customers! Here is an example of how to write a blog that is formatted using the above template and following the same Starbucks example as above. [Opening Paragraph] – Choosing a drink at Starbucks is complicated enough. There are hot and cold options, countless variations of drinks, and even a “secret menu.” Add the Seasonal choices into the mix and picking a drink could make anyone indecisive. 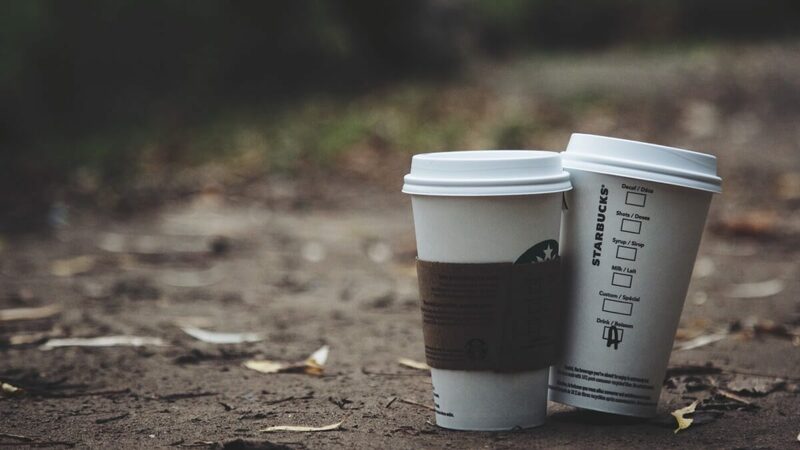 Get ready to run to your nearest Starbucks because we’ve made the choice easier for you. Here are the best Starbucks drinks for every season. The opening sentence restates the problem that the blog is serving to solve—readers have a hard time choosing what to drink and want advice. In the second sentence, there is a link to a People article about the Starbucks secret menu. People have a big website with a lot of traffic. These are the kinds of outbound links we want to incorporate. The following sentences imply empathy towards the reader—choosing a Starbucks drink IS hard. The LSI keyword “nearest Starbucks” was organically used here too. The intro was concluded by explaining how this blog will solve the problem— “We will help make the option easier”. Please note that the focus keyword “Best Starbucks Drinks” is in the opening paragraph. This is a MUST for good SEO practice. [Paragraph] If you enjoy the subtle hint of cinnamon, cloves, and nutmeg intertwined with pumpkin, this drink is for you. And yes, it does taste just like pumpkin pie. This espresso combination is arguably the single best Starbucks drink. And because I know you’re wondering—the Pumpkin Spiced Latte deems 300 calories in the standard tall, 2% milk option. You can make this drink lower calories by asking for low-fat milk with no whipped cream making it 200 calories. The subtitle says specifically what the drink is. There should be no guessing game here. The reader wants to know exactly what is in the paragraph below the subtitle. The next sentence of the paragraph answers exactly what the drink tastes like because this ultimately is what the reader will base their decision off of. The following sentences simply elaborate on the first. The focus keyword “Best Starbucks Drink” is used in the body of the paragraph. Notice I have sprinkled LSI keywords into this paragraph such as “drinks” and “espresso”. The entire paragraph is under 150 words. Also, note that most sentences are under 20 words. [Paragraph] If you are looking for a fall Starbucks order that isn’t the Pumpkin Spiced Latte, but still packs the same “spiced” punch, the Oprah Chai Latte is for you. It has the signature taste of chai mixed with cinnamon, ginger, cardamom, and cloves. But it has a lighter intensity than the Pumpkin Spiced Latte. A tall Oprah Cinnamon Chai Tea Latte with steamed 2% milk only has about 150 calories. If you have it made with skim milk that number drops to about 130 calories. Again, the subtitle says specifically what the drink is. Then the first sentence offers an option for those that don’t want to follow suit with the rest of the world and get a Pumpkin Spiced Latte. The paragraph also explains what it tastes like and follows up with the calories. We want to keep the formatting uniform. Since we mentioned the calorie count in the first paragraph, it will be mentioned in every other drink description. Each paragraph will follow this format: taste > calories> options for fewer calories. LSI keyword “Starbucks order” is in this paragraph as well. The entire paragraph is under 150 words. Also, note that most sentences are under 20 words. [Paragraph] Love the taste of your regular coffee, but want to add some Holiday cheer to it? Starbucks Holiday drink, the Peppermint Mocha, combines espresso with soothing peppermint and chocolate mocha all topped with dark chocolate curls. This fan-favorite actually tastes like Santa, snow, and candy canes. A tall Peppermint Mocha made with 2% milk is 350 calories. Watching your calories around the Holiday season? Ask for a Skinny Peppermint Mocha and that number drops down to 120 calories. The subtitle states exactly what the drink is and the paragraph follows the format of the others— taste > calories> options for fewer calories. The first sentence is a transition that introduces the topic change. “Skinny Peppermint Mocha” is linked to the Starbucks page where the reader can read more about the Skinny Peppermint Mocha. Starbucks website is another high traffic site that is great for linking too. And the link is relevant! The entire paragraph is under 150 words. Also, note that most sentences are under 20 words. LSI keywords were used naturally throughout such as “espresso” and “coffee”. [Paragraph] If you aren’t a fan of peppermint, Starbucks menu offers another option for coffee—the Chestnut Praline Latte. Somehow underrated, this hot drink’s flavor is a combination of nutty and caramelly and veers more towards the sweet side. A general tall latte made with 2% milk has 270 calories. But ditch the whipped cream and ask for nonfat milk and it only has 160 calories. The introducing sentence of this paragraph offers another option to the Peppermint Mocha and then goes straight into the same format as the previous paragraphs. LSI keywords have been used throughout such as “hot drink” and “coffee”. The whole paragraph has less than 150 words and all sentences are under 20 words. [Paragraph] With the dawn of warmer weather comes to the need for colder drinks. 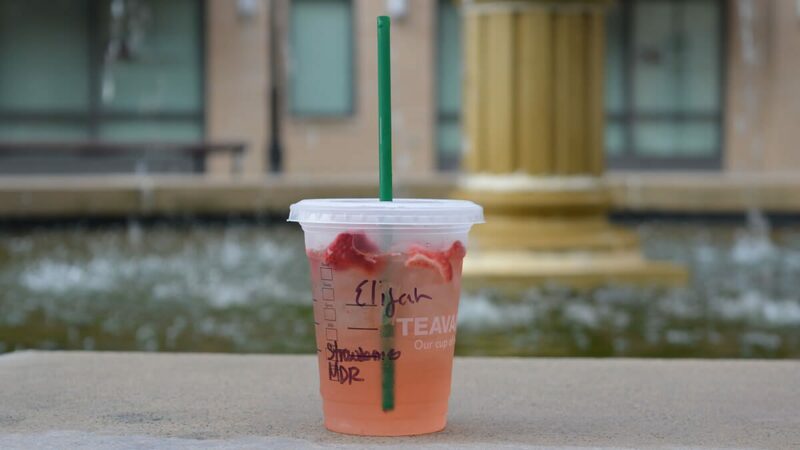 In the spring, the Starbucks menu gains an array of cold drinks like the Strawberry Acai Refresher. As its name insinuates, it has a fresh flavor that tastes like strawberries mixed with passion fruit. This is a great low calorie, low caffeine option as it only has 80 calories in one tall drink. No need to make a skinny version of this refresher! The formatting still is the same as the above paragraphs. It is less than 150 words with most sentences less than 20 words. LSI keywords are sprinkled throughout like “cold drinks” and “Starbucks menu”. [Paragraph] The Pink Drink is an option off of Starbuck’s secret refresher menu. It’s a combination of the Strawberry Acai mixed with coconut milk to give the berry flavor a hint of creamy coconut. If you are looking for the perfect spring drink to satisfy the taste buds and is low calorie, this is your drink. Despite all the flavor, it only contains 130 calories. “Starbuck’s secret menu” is linked to a blog talking about the secret refresher menu (pretend this is a blog that you wrote). Inbound links should be relative and they should be organically linked throughout the paragraphs. I was already talking about the secret menu, and (pretend like) we have a blog written about that subject. Do not put these links in their own section. For example, do NOT have a random sentence that states “Ever heard of Starbucks Secret Menu? Click this link to learn more”. This is not organic and it feels spammy to readers. As with the previous paragraphs, this paragraph is under 150 words and sentences are less than 20 words long. [Paragraph] If you love the delicious taste of a classic Sangria, then you’ll love the taste of this fruity iced tea. Teavana Iced Passion Tango tea is shaken with apple juice to bring you a bubbly masterpiece topped with fresh fruit. This option has the perfect combination of sweet and tart and only packs 120 calories in a tall drink. Not much has changed here. Paragraph formatting is consistent with previous paragraphs, less than 150 words in the entire paragraph and no sentences are longer than 20 words. [Paragraph] Not ready to split from your tried and true hot coffee? No worries. Just make it an iced coffee. Or a Cold Foam Cascara Cold Brew. This sweetened drink has hints of dark brown sugar and maple that complement the bold flavor of your regular roast. A tall has only 60 calories so you don’t have to feel bad about drinking this knockout. Paragraph formatting is consistent with previous paragraphs, less than 150 words in the entire paragraph and no sentences are longer than 20 words. LSI keywords such as “iced coffee” and “roast” are used organically throughout. [Conclusion Title] Are you running to buy Starbucks coffee yet? 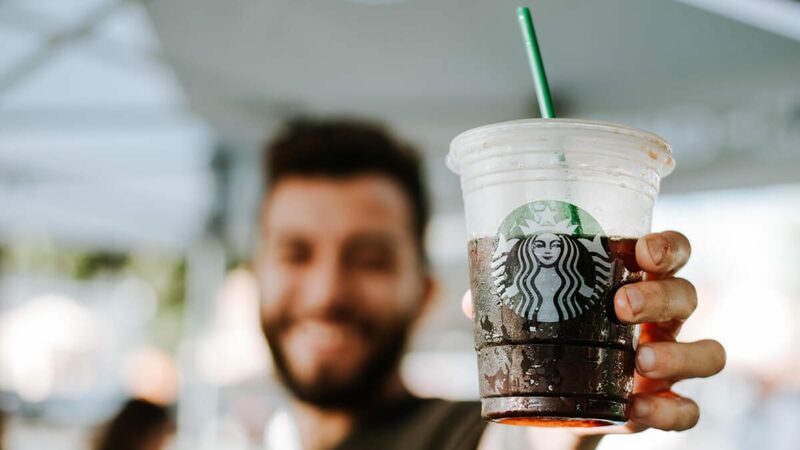 [Closing Paragraph] With these drink orders, you can take on every season at Starbucks with the know-how and confidence of a gold card member. To get exclusive deals on the best Starbucks drinks straight to your inbox, sign up today! Your next drink may just be on us. Note: because the keyword is used four times in the subtitles, there isn’t a need to put it into the paragraphs often. You want to use the keyword at least 4-5 times between the intro, conclusion, headers and within the paragraphs. The Keyphrase “Best Starbucks drinks” is incorporated into the conclusion. The conclusion title uses the LSI keyword “Starbucks coffee”. This is great! Try to organically incorporate your LSI keywords into titles, subtitles, etc. Ready to write your blog post? Now that you know how to write a blog you can pick a (researched) topic and get started! By following the template above, your blogs will have high readability and be filled with good SEO. If that’s not enough, your blogs will be organized in a way that keeps readers coming back. Already a client of Charley Grey? Contact us to talk about adding blogs to your website.